Verizon's response to the FCC's net neutrality ruling: '... ..-.-. -.- / .. -' - trendistic.com: ever tried. ever failed. no matter. try again. fail again. fail better. 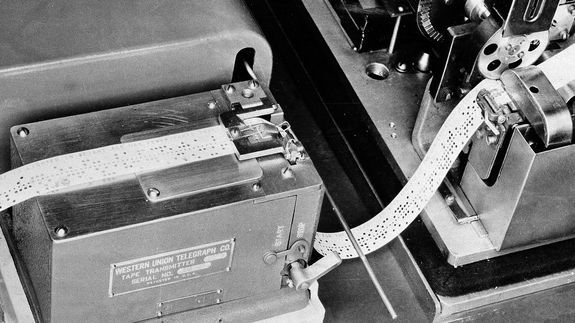 The telco used its Public Policy blog to relay its thoughts in dots and dashes. Then it helpfully provided a translation for “readers in the 21st century.” The quick version? 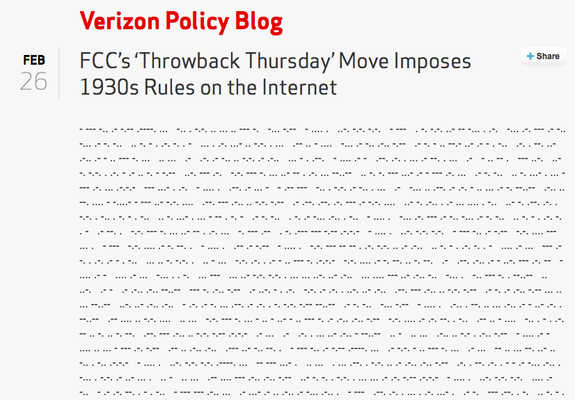 Verizon wasn’t happy about the FCC’s “Throwback Thursday” move.